You are correct as to the measurement of the 3 day rally. When we opened yesterday we had a positive 3 day rally at that point and the markets could have gone down all day and still produce a positive 3 day rally. However based on statistics the average 3 day rally should be greater than the few points we had at the open and therefore long positions could be taken but with extra caution. guess today is one of those days when all levels get blown away, could be because of this big meeting in London G20 coming out with pledges of injecting cash , at least on paper. Yes they messed up TTT no decline on a Buy day very rare. anyone have the win ratio numbers for theTTT? I dont think any one can say that TTT has a winning ratio. The reason is that TTT is not a blackbox system that will tell you buy here sell there. What TTT does is give you a framework to help you improve your own winning ratio. I can tell you that some of my customers that had a 60-65% winning ratio before TTT have now improved their ratio to over 85%. 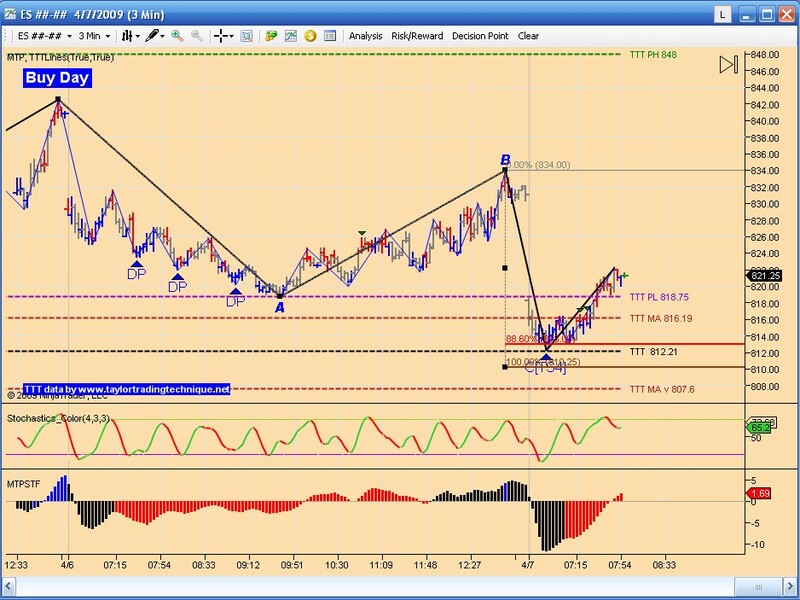 TTT gives you a bias for the day together with potential support and resistance levels. If your trading method is already giving you good results TTT will help you eliminate some of your loosing trades and get more out of your winners. It may also find some trades that you would not have taken. Today was a Sell day. 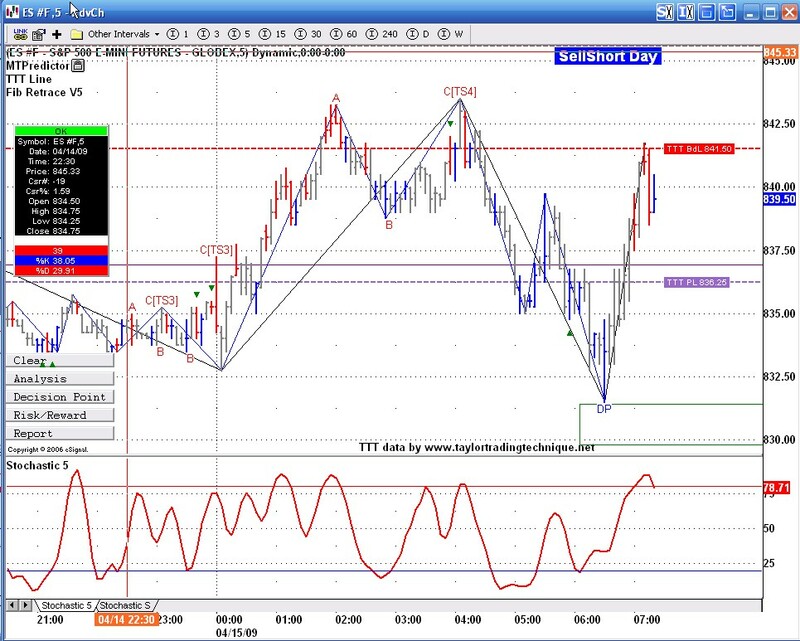 TTT levels kept markets from going higher during the overnight session and ES reversed and tested the Buy day low. MTP gave us 2 chances to get in at that low. We also had divergence to confirm. So far this trade is turning out very nice. 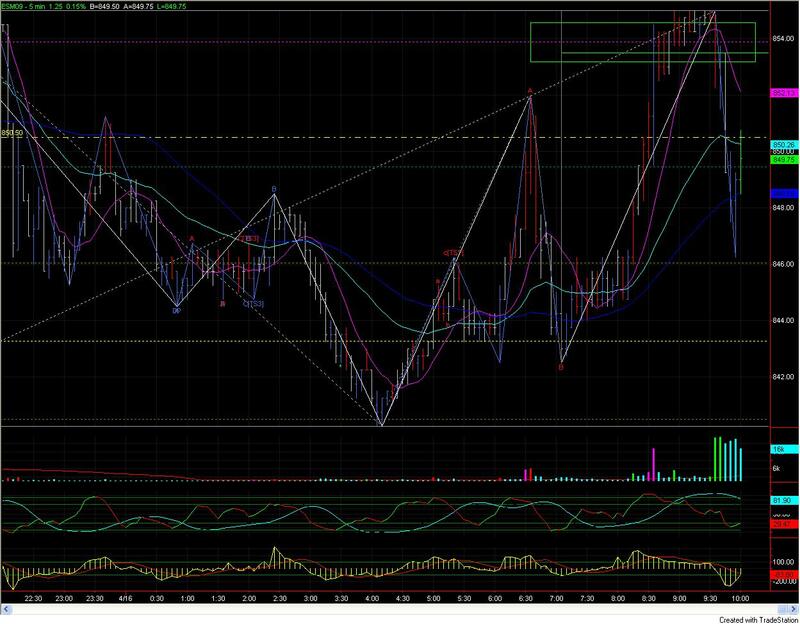 Nice cluster to enter trade. 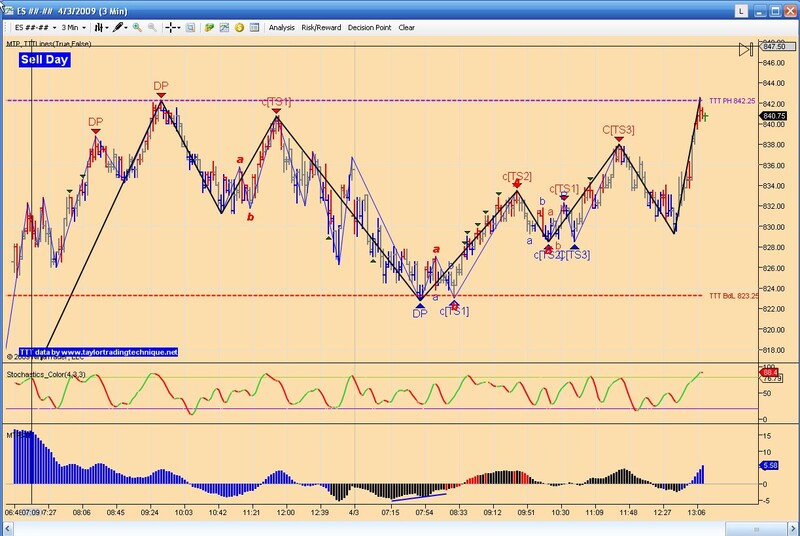 Today is a SS day We knew that we had 83% chance of at least getting back above the Buy day Low during the day session. 831.75 was the 50% retracement of the 802.25 low to the 861.25 high. Also we were at the DP zone of the overnight Low. We also had divergence on the Stochastic.